The 2018 NASCAR Monster Energy Cup Series All-Star race is set to go off on Saturday, May, 19th @ 6:00 p.m. EST and can be seen on Fox Sports 1. Another chance at $1 million in cash is on the line this weekend as the Monster Energy NASCAR Cup Series heads to Charlotte Motor Speedway for the All-Star Race. As of now, 17 drivers qualified for the event thanks to either a victory in the past two seasons or a previous All-Star Race win. The other competitors will have the opportunity to qualify for the 2018 All-Satr race by winning one of the three stages. The other will get in via the winning of the All-Star fan vote. Here is how it works. NASCAR is going to try out racing four stages instead of three for this All-Star event. The first stage will be 30 laps. The second and third stages will be followed by two 20-lap dashes. Finally, the fourth and final stage will be a ten-lap shoot-out to determine the winner. Unlike a regular race, stages can only end under green flag laps with caution laps not counting in the fourth and final stage. Also, the race cars will carry a restrictor plate. They also sport the restrictor plate at Talladega and Daytona. Here is the list of the drivers that have already qualified for the main event. Like I said before, drivers who haven’t qualified can compete in the Monster Energy Open to claim a spot in the main event. Hendrick Racing’s Chase Elliott, Alex Bowman, and William Byron will have their shot at a million dollars with a stage triumph. Up and comers Aric Almirola, Daniel Suarez, Erik Jones and Darrell “Bubba” Wallace Jr. are among those expected to compete in the open. Again, only the winners of the three stages in the open will qualify for the All-Star Race. Elliott is the leading candidate for fan favorite heading into the All-Star race this weekend. Last year, Kyle “Rowdy” Busch sped his way to the victory. In doing so, he pocketed another million bucks in the bank account. In that contest, Penske’s Brad Keselowski captured the first two stages. Furthermore, Kyle’s brother Kurt scooped up a win in the third stage. Nevertheless, this is not a points race but the purse is well worth the effort. Some drivers to keep an eye on for the 2018 NASCAR Energy Cup Series race are defending champion Martin Truex Jr. and Brad Keselowski. Truex Jr. claimed a win in the Bank of America 500 at Charlotte Motor Speedway in the fall. He led 91 Laps and put another 1.5-mile track under his belt on his way to his first ever NASCAR championship. He also completely dominated the Coca-Cola 600 in the spring of 2016 at Charlotte. The speedster led a whopping 392 of the 400 laps turned. Brad Keselowski has usually fared well at this venue. The aggressive driver won here in 2013 and finished first in both stages of the 2017 All-Star race last season. Nevertheless, he crashed out of the spring race at this speedy oval last spring. Both Keselowski and Martin Truex Jr. will be racing for their first-ever All-Star race win on Saturday night. 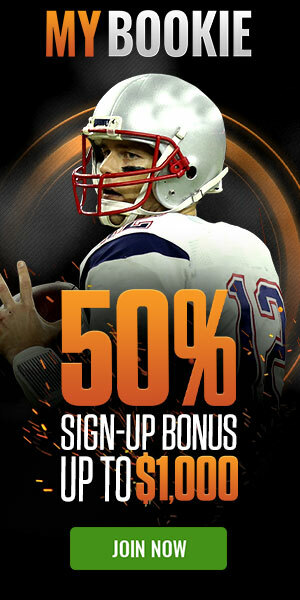 Head on over to BetDSI Sportsbook to get some action in this weekend. The NASCAR Monster Energy Cup Series heads back west to Sonoma, California for the Toyota Save/Mart 350 this Sunday. The field is expected to display speeds of well over 200 miles per hour when the green flag drops for the Firekeepers Casino 400 this Sunday.